ModelMaker and ModelManager offer the solution to all your modeling needs. We've provided a whole range of information, tutorials, reviews, modeling hints and tips, download demos - we hope you find them useful. We'd be happy to add new material based on your experience of using the ModelKinetix software. The site will also allow you to place orders for our award winning modeling software ModelMaker 4. ModelManager is a Windows-based program for the deployment, storage and reporting of mathematical models.ModelManager is a Windows-based program for the deployment, storage and reporting of mathematical models. Our first release of ModelManager, known as Environmental Kinetics (or EK), has been designed with environmental fate scientists in mind. ModelManager (EK) enables compound degradation data from multiple studies to be optimized against several user defined or pre-defined models. The results of model optimization and best model to fit the data are stored in an Access database and then compared in an Excel report. 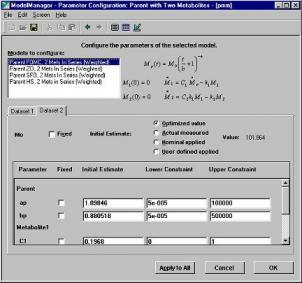 ModelManager (EK) uses the robust calculation engine of ModelMaker, widely used in environmental sciences. ModelManager (EK) includes a range of models although new models can be added, and any model can be deleted using the ModelManager Wizard. In addition ModelManager comes with ModelXchange functionality enabling organizations to exchange models hosted on a website. In order for a pesticide to satisfy the stringent requirements of the regulator and be approved for use, supporting evidence regarding degradation rates must be supplied. This evidence is normally provided in the form of mathematical models and data tables. Although there is a great deal of interest in this area, there is currently little practical harmonization of approaches within the crop protection industry. Consequently the industry is sustaining unnecessary cost in reworking submissions and modeling systems that have already been accurately modeled elsewhere. In addition, the use and analysis of mathematical models often require specialist technical expertise. What is required is a solution that facilitates the sharing of mathematical models and simplifies the analysis and comparison of models. In a typical investigation of the environmental fate of a compound it is useful to decipher the principal mechanisms governing it’s residency within a system. These investigations normally involve several batch degradation studies generating several datasets for different experiments. The parameters that define the shape of the curve are altered to obtain the best fit to the data; the model that most accurately represents the data (with a statistically acceptable error) can be used to predict the long term residency of the compound in a system. Traditionally the task of finding the best model to satisfy the data requires that you select datasets and individually compare these to the models, a process that is laborious, repetitive and time consuming. ModelManager(EK) provides you with a user friendly interface to enter several degradation data sets and optimize these against selected models in one step. The end user needs to have no knowledge of modeling, simplifying the workload of the modeler. Whilst ModelManager(EK) provides the end user with a standardized interface for modeling, the systems administrator is able to add or delete models and reports. This gives your organization considerable flexibility in how you configure ModelManager. For example, different teams could be equipped, very simply, with different models. In addition, ModelXchange enables your organization to import and export models hosted on the ModelManager.com website, or from your intranet site. 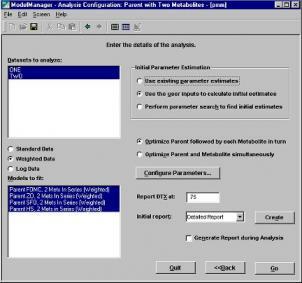 ModelManager uses a Wizard-like interface to guide users through the process of performing an analysis of experimental data. The user first can enter some standard information about the study, for example describing the date that the experiment was performed and the number of sets of data that was collected. 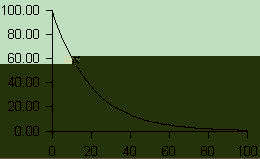 On the next screen the user enters the data. ModelManager can also record the nominal amount of the compound that was applied to the system, which can be used later in the analysis. 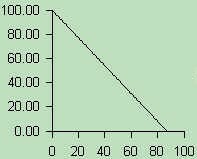 The user may enter some estimates of how the system is expected to react to aid the optimization process. The analysis itself is performed using this screen. 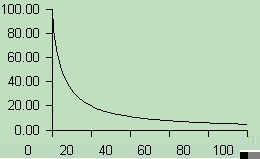 The user can choose to fit different models to the experimental data and compare them. 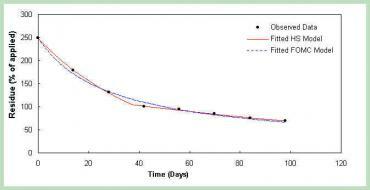 The fit of the curve itself can be improved by altering the initial estimates for the parameters in the models, or ore weight can be applied to the different compounds. 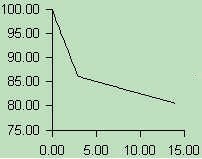 In this case, the parent parameters may be calculated first so they are not affected by the metabolite analysis. The reports generated plot the fitted curve against the data with goodness of fit statistics, and can even compare models directly. Click here to download an actual ModelManager generated report. The screens shown here are all completely configurable by the system administrator. For instance, it may be required that only weighted analyses are performed, or that only estimates for the parent compound are required. The entire look and feel of the ModelManager may also be changed to fit in with any applications. The models which are used to perform the analysis may also be changed; as new models are developed, they can be added to ModelManager, and models may be removed if they are no longer required. The sharing of information is also encouraged through ModelXchange which can be used to import and export ModelManager models in one step, and distributed throughout an organization - or across the world. ModelManager is particularly suitable for users who want to compare several models at once, report graphically using Excel and store their data in a desktop database. The output from ModelManager is easily pasted into Word documents, for example, for electronic submission to a regulator.